Autoimmune disease, a dysfunction of the immune system. What we need to Know! An Autoimmune disease or illness happens when the immune system mistakes its own body tissue for a foreign invader and mounts an attack against its own body tissue. This system becomes confused over what should be in our body and what should not be there. Therefore it over does its job. It is always on high red alert. When it should only be on red alert when we are injured in some way or an invader gets into our body. That alert is stopped when the enemy is destroyed. What happens next is the immune system produces antibodies against its own body tissues. It then cannot recognize what is heart, liver, bowel, cartilage tissue and it attacks with all the soldiers it can get and asks for more. Creating what we know as an Autoimmune disease. This immune assault creates inflammation and inflammation brings the pain and swelling and heat with it. Clearly then getting inflammation under control will help the immune system to recognize what is a good cell and what is not. Limu Plus is an anti-inflammatory. 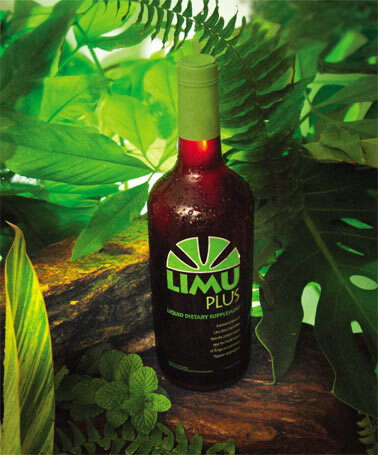 Limu has the phytochemical fucoidan which is one of its primary active ingredients. It will assist with joint care improves digestion, helps support the liver [very important because the liver is involed with these types of disease] improves blood function [or blood flow] improves stomach function and enhances cell and skin growth. What can happen, to our body when we have an Autoimmune disease? Fatigue, achy all over your body, a low grade fever, inflammation, which can lead to weight gain, tired, sensitive to cold, stiff in the joints, depression, and the list can go on. What can cause an Autoimmune disease? The cause has been some what of a mystery in times past. Some scientists tell us that an Autoimmune disease can be caused by a genetic predisposition which can be activated by something that you were exposed to in the environment. Environmental factors like heavy metals, which are nicotine, DDT, cadmium, nickel, copper, arsenic, aluminum, lead mercury, radiation, PCB's industrial chemicals, medications, and solvents can play a roll. For others the experts can trace it to a bacteria or a virus that triggers an immune response. What has become clear is there is a dysfunction of the immune system which creates symptoms, like inflammation. That is why it is important to give special attention not only to the symptoms of your Autoimmune disease, but to the underlying cause of that disease. Below is a short list and definitions of some Autoimmune diseases. What strikes me is that so many if not all inflame the body which leads to more and more of the symptoms of inflammation which are swelling, heat, redness, and pain. By the way any Autoimmune disease that ends with the suffix itis means inflammation. Rheumatoid Arthritis.....is inflammation of the joints and the tissue around the joints the cartilage an the synovial membrane. Hashimots's Thyroiditis.....is Hypothyroidism, an under active thyroid. Systemic Lupus Erythematosus.....is chronic inflammation that can affect the heart, lungs, nervous system, kidneys and the joints. When it involves the skin it is called discoid lupus. Uveitis.....inflammation of the middle layer of the eye, but can also involve the other layers. Scleroderma.....a condition where the skin gets hard. Can affect the muscles and joints. Primary Biliary Cirrhosis.....is the inflammatory destruction of the small bile ducts within the liver. Polymyositis/Dermatomyositis.....is the inflammation that damages the muscle fibers and skin. Myasthenia Gravis.....this is a grave muscular weakness of the voluntary muscle groups. Addison's Disease.....is a endocrine or hormonal disorder. The adrenal glands do not produce enough cortisol. Pernicious Anemia.....is a condition in which the body does not make enough red blood cells, due to a lack of vitamin B-12. The cells do not divide in a normal way. They have trouble getting out of the bone marrow. We need our red blood cells to carry oxygen to all of our cells. Chronic Active Hepatitis.....inflammation of the liver. Vitiligo.....is a pigmentation disorder. The cells (melanocyles) that make up pigment in the skin are destroyed. Type 1 Diabetes.....is a condition in which the pancreas produces very little insulin or non at all. This hormone is essential for the conversion of sugar into energy. Multiple Sclerosis .....a chronic disease that affects the brain and spinal cord. The immune system sent antibodies and white blood cells (There are different types) to attack the proteins that protect the myelin sheath. This fatty substance insulate the nerve fibers in our brain and spinal cord. When the myelin sheath is destroyed, inflammation occurs, and scarring blocks the signals we need for muscle coordination and strength. Crohn's Disease.....a chronic inflammatory condition of the lining of the digestive tract. This causes severe diarrhea and pain. This inflammation can spread to the deeper layers of the bowels. Answer the list of questions below. They may explain why the immune system becomes overloaded or just has to much to handle and no longer can it maintain its balance. Do you eat refined foods or white sugar? Do you get enough sleep? Our body will not heal and repair if we don't get enough sleep. Do you use chemicals in your home? Do you work with hazardous chemicals? Do you live in or near industrial areas, and are exposed to toxic air, water or land pollutants? There is a term in the scientific world called immune modulation. This is what you want to focus on, bringing the immune system back into balance with the other systems of the body. Then an Autoimmune disease can take a back set in your life, not the focus of your life.